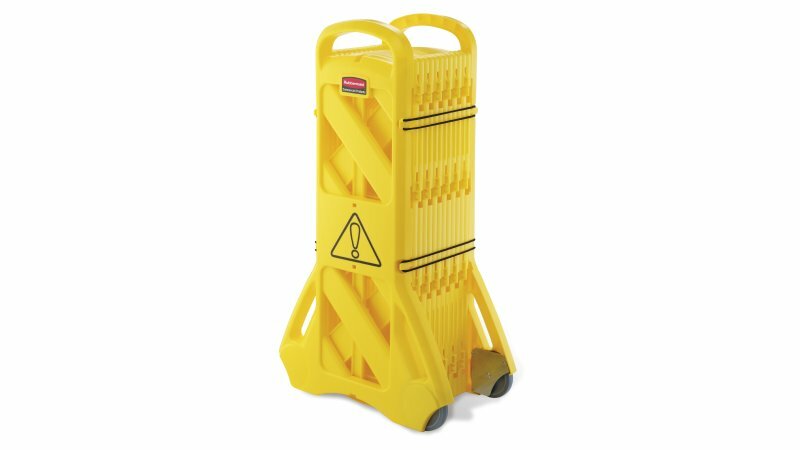 Easy to use, easy to see, easy to move, and easy to store mobile barrier uses articulating panels to extend to 13 feet long. It can be used straight, curved or circular. 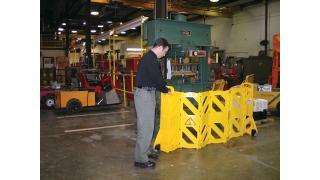 ANSI/OSHA-compliant colors. 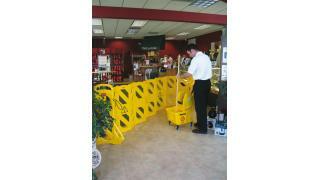 The Rubbermaid Commercial Mobile Barrier is easy to use, easy to see, easy to move, and easy to store. The barrier is 13 feet long with 16 articulating panels that work in multiple configurations such as straight, curved, or circular. 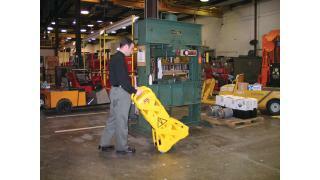 4 locking straps keep the barrier closed to store compactly and non-marking wheels make it quick to move and reposition. 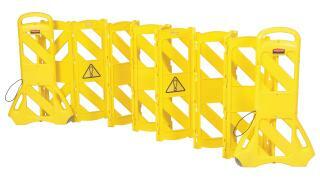 Designed for indoor use, this caution sign barrier arrives fully assembled. 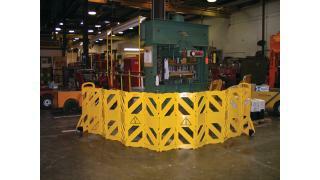 ANSI/OSHA compliant color.